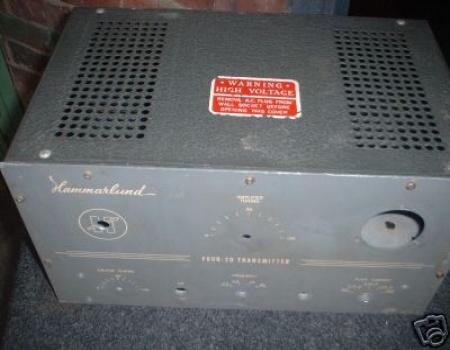 The Hammarlund Four 20 is a CW transmitter and is crystal controlled from 80 through 10 meters. 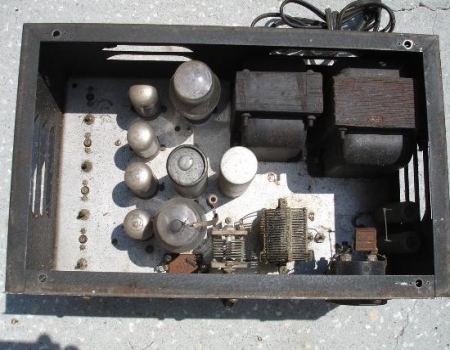 This transmitter uses a single 807 tube as the final. 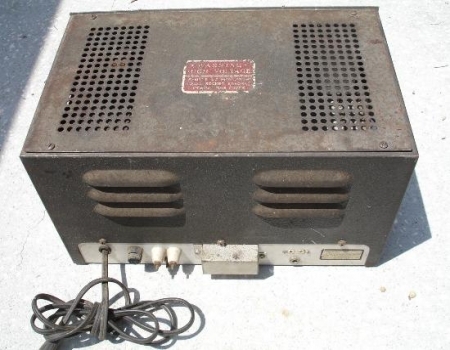 The power source is 115 volts AC. 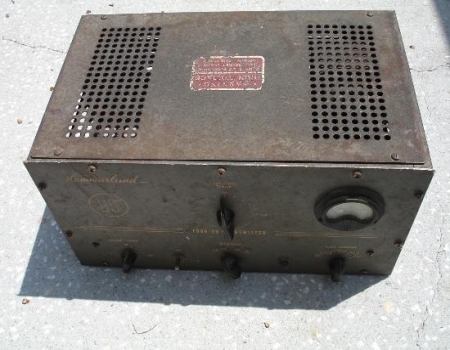 This transmitter is often paired up with the Hammarlund HQ-129X receiver. 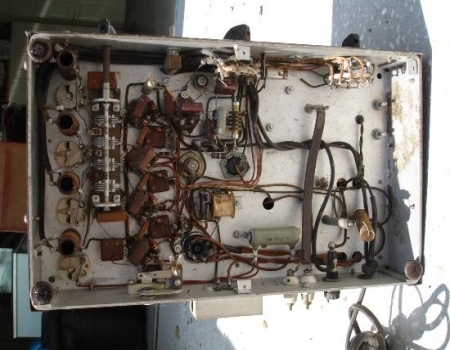 This transmitter will soon find its way to the work bench for a total restoration. 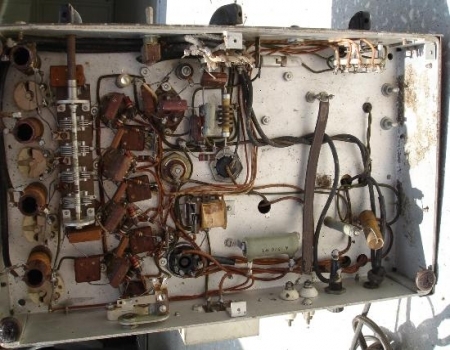 The photographs here show the inside of the transmitter with the top cover removed. 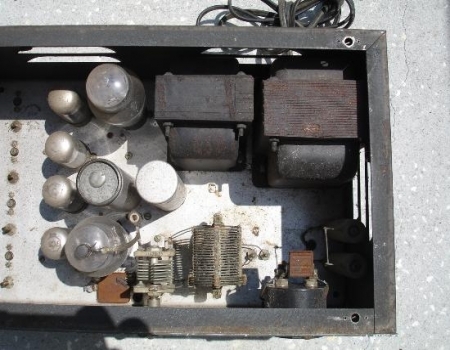 Here we can see the single 807 driver tube that was mentioned above. 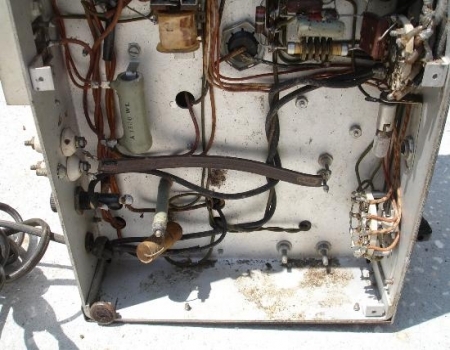 It located in the bottom left corner of the right photograph and next to the air variable capacitor. 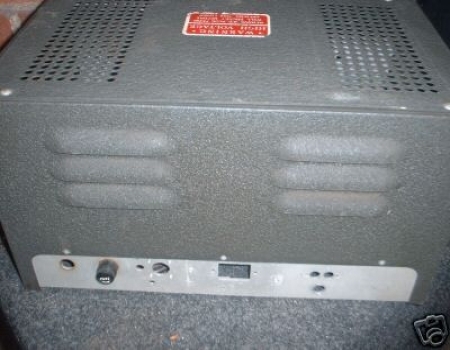 These next two pictures shows the components that are located under the chassis with the bottom cover removed. These pictures are a close up of under the chassis. 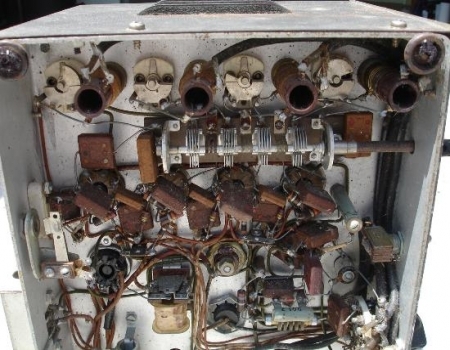 As with all the pictures of this transmitter they are of the item in un-restored condition. These next two pictures show a cabinet I found listed at one of them auction sites. The price was right so I purchased it for one of them "just in case" situations.